A newly discovered molecule increases appetite during fasting - and decreases it during gorging. The neuron-exciting protein, named NPGL – apparently aims to maintain body mass at a constant, come feast or famine. An evolutionary masterstroke, but not great news for those looking to trim down - or beef up for the summer. Over recent decades, our understanding of hunger has greatly increased, but this new discovery turns things on their head. 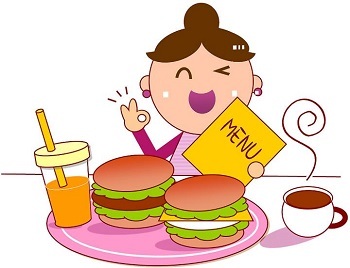 Up until now, scientists knew that leptin – a hormone released by fatty tissue, reduces appetite, while ghrelin – a hormone released by stomach tissue makes us want to eat more. These hormones, in turn, activate a host of neurons in the brain’s hypothalamus – the body’s energy control center. 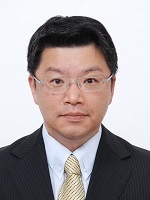 The discovery of NPGL by Professor Kazuyoshi Ukena of Hiroshima University shows that hunger and energy consumption mechanisms are even more complex than we realized - and that NPGL plays a central role in what were thought to be well-understood processes. Professor Ukena first discovered NPGL in chickens after noticing that growing birds grew larger irrespective of diet - suggesting there was more to energy metabolism than meets the eye. Intrigued, the researchers at HU performed a DNA database search to see if mammals might also possess this elusive substance. They found that it exists in all vertebrates - including humans. In order to investigate its role, if any, in mammals, Professor Ukena’s team fed three groups of mice, on three distinct diets, to see how NPGL levels are altered. The first set of mice was fed on a low-calorie diet for 24 hours. The second group was fed on a high-fat diet for 5 weeks - and the third lucky group was fed on a high-fat diet, but for an extended period of 13 weeks. The mice fed on a low calorie diet were found to experience an extreme increase in NPGL expression, while the 5-week high-fat-diet group saw a large decrease in NPGL expression. Further analysis found that mice possess NPGL, and its associated neuron network, in the exact same locations of the brain as those regions already known to control appetite suppression and energy use. Professor Ukena proposes that NPGL plays a vital role in these mechanisms - increasing appetite when energy levels fall and reducing appetite when an energy overload is detected – together, helping to keep us at a healthy and functioning weight, and more importantly alive! As NPGL levels greatly increased in mice exposed to a low calorie diet, Professor Ukena believes it is an appetite promoter, working in opposition to appetite suppressing hormones such as leptin. Backing this hypothesis up, it was found that mice directly injected with NPGL exhibited a voracious appetite. Interestingly NPGL levels, which plummeted in the 5-week-long high-fat-diet mice - fell back to normal levels in mice who gorged themselves for the longer period of 13 weeks. It is proposed that exposure to high-fat diets for long periods of time lead to insensitivity to leptin’s appetite-suppressing effects, and so NPGL - even at normal levels - leads to weight gain and obesity, showing that the body can only do so much to keep our weight in check. Professor Ukena says that further study is required to understand the interaction of previously known appetite mechanisms with this new kid on the homeostasis block. It does seem however, that we still have a lot to learn about appetite, hunger, and energy consumption. It is hoped that this study into mammalian NPGL adds another piece to the puzzle. What is certain - but you knew this already - is that dieting is difficult. The discovery and study of mammalian NPGL helps explain why, and provides a plausible excuse for those whose good intentions fall short. These are mice directly injected with NPGL exhibited a voracious appetite. Can You Really Control What You Eat? Hunger and energy consumption mechanisms are even more complex than we realized.